Complete comparable courses in transactional analysis taught by a Certified Transactional Analyst. These courses must include at least 50 contact hours and cover all of the listed objectives (see below). Complete an evaluation that lists all the objectives and asks participants to evaluate whether they achieved them. 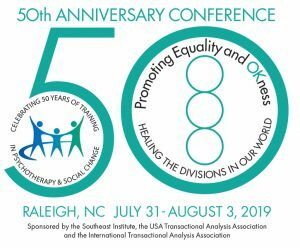 In the first four modules participants learn to apply Transactional Analysis theory in their own lives and to begin to use it in their practices. 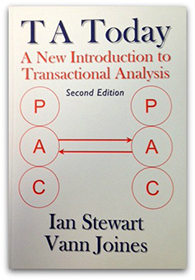 Additional advanced modules focus on application of Transactional Analysis theory. Note: In order to use transactional analysis in practice, individuals should have completed the necessary training in their field or discipline and have the appropriate legal authorization to practice in that field.